Whew! We are on the other side of Christmas and we hope everyone enjoyed the special time with their loved ones. Jen and I both had a wonderful holiday and our kids are still home with us for a little over a week. Our school break for the holidays is kind of weird this year and the kids didn't get out until right before Christmas. We were counting down the days and couldn't wait for school to be done so we could squeeze in some fun stuff! 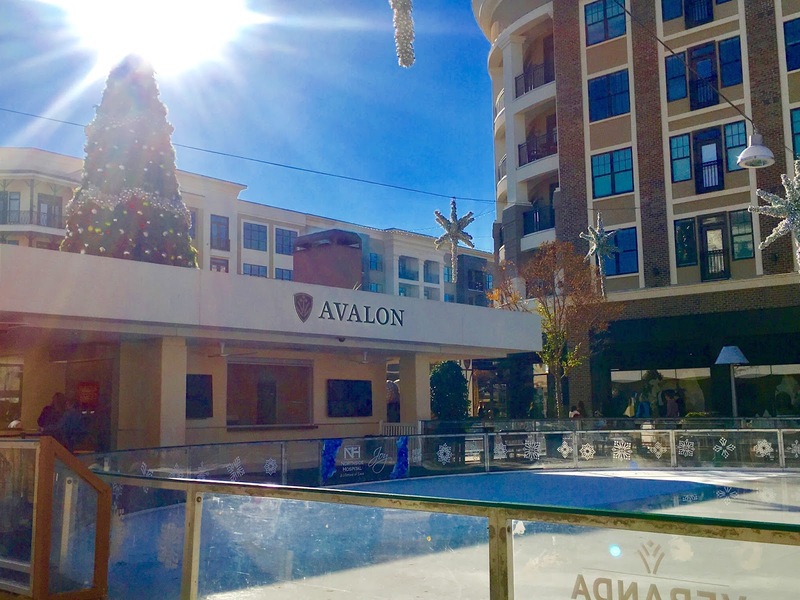 On their first day of break we went ice skating at Avalon. This is something we had talked about doing the past few years, but just never made time to go. When I mentioned it to the kids last week they were all for it and when I mentioned it to a friend she was all for meeting us there with her kids, too! Avalon, for those who aren't familiar, is an outdoor shopping area complete with tons of high-end stores, specialty shops, restaurants and a movie theater. 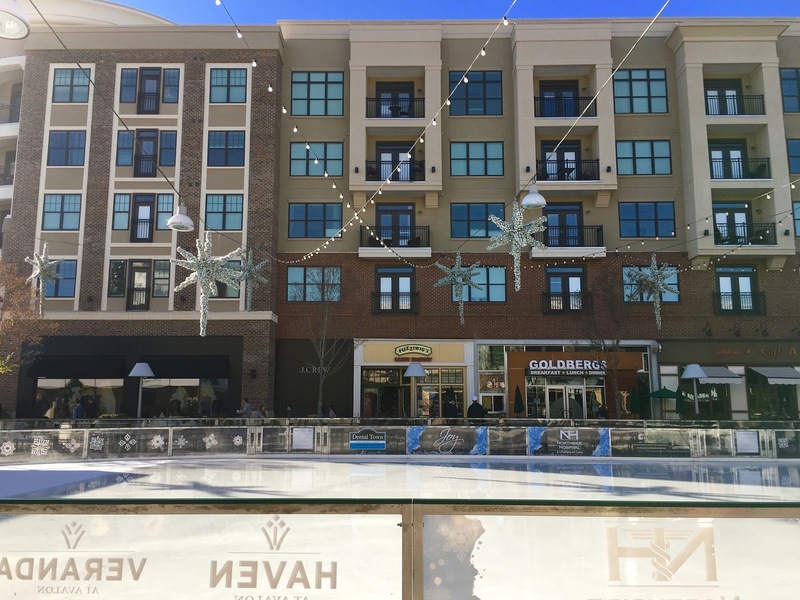 They offer an outdoor ice skating rink seasonally from mid-November to mid-January. The hours for ice skating vary and the day we went they didn't open until 3 PM so we decided to meet for lunch first. We had quite the crew of kids with us, but it made for a super fun day. After lunch we walked around a bit and enjoyed the hustle and bustle of all the holiday shoppers. 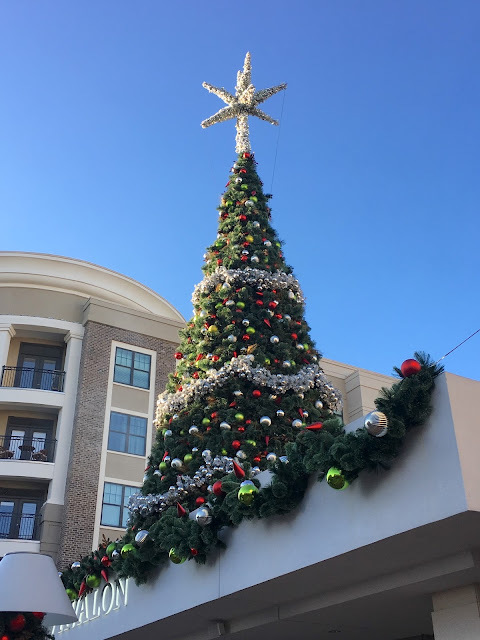 I did not enjoy that hustle and bustle when I was searching for a parking spot earlier though (it took me close to 30 minutes to find a spot because it was so packed just a few days before Christmas). 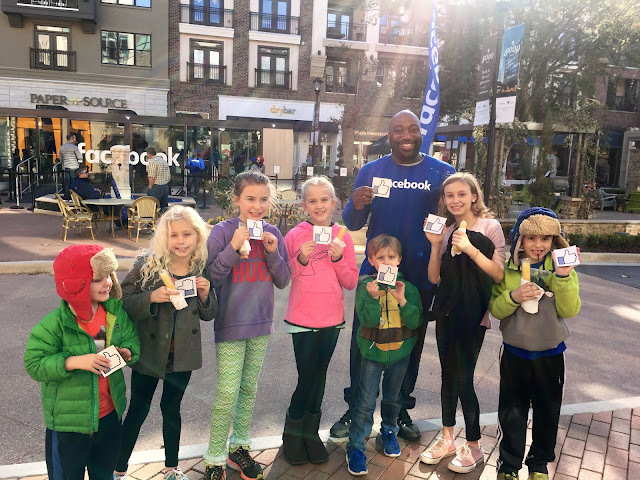 As we were heading towards the ice rink we ran into a Facebook crew that was there promoting their virtual reality glasses company. This guy was such a fun sport, talking to the kids and passing out thumbs up "like" magnets to the kids. He told them they'd be the coolest in their classes with these. We hopped in line for ice skating about 25 minutes before they opened and we were glad we did because the line quickly grew behind us. There was an option to buy tickets online ahead of time, but they only sell a limited amount and they were sold out for our day when we checked. 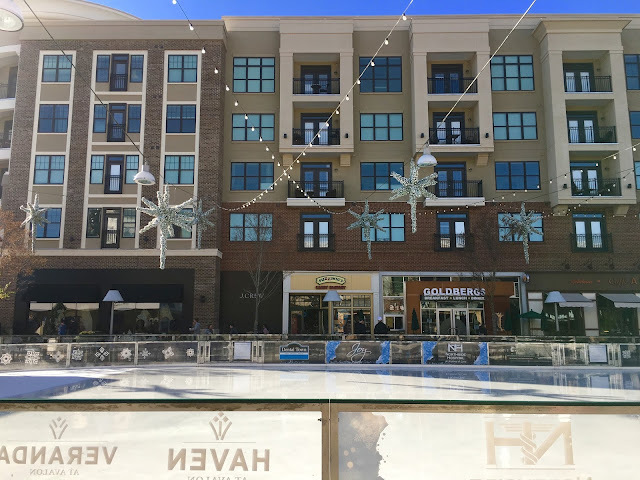 The great thing about the rink not being open yet was that we were able to take in the pretty views and see it before a ton of people filled it up. Promptly at 3 PM we paid and got our skates. 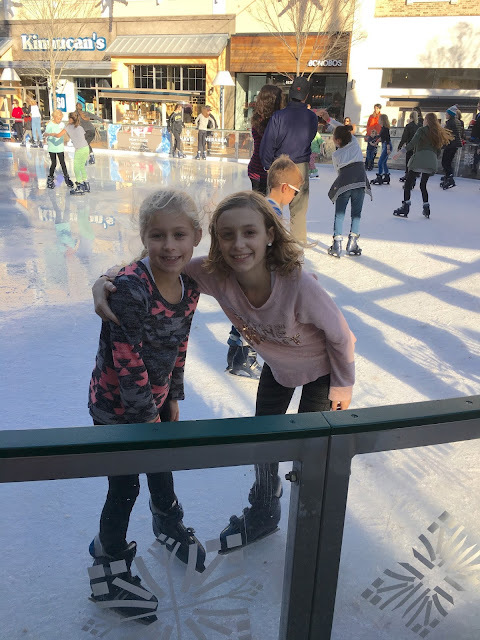 As we were helping all the kids put on their skates there was a lot of complaining and chaos and my friend and I looked at each other and second guessed our decision to bring 7 kids ice skating. However, once we got everyone onto the ice they were all smiles and loved it! There was a lot of clinging to the wall for some of them and I didn't realize what a workout it would be to try to help keep Boo-Boo from falling, but he loved it and we all had fun! We skated for about an hour and as we were getting ready to leave they all really got the hang of it. Of course then they didn't want to leave, but it was getting crowded and we wanted to get home before traffic got bad so I promised them we'd go back! 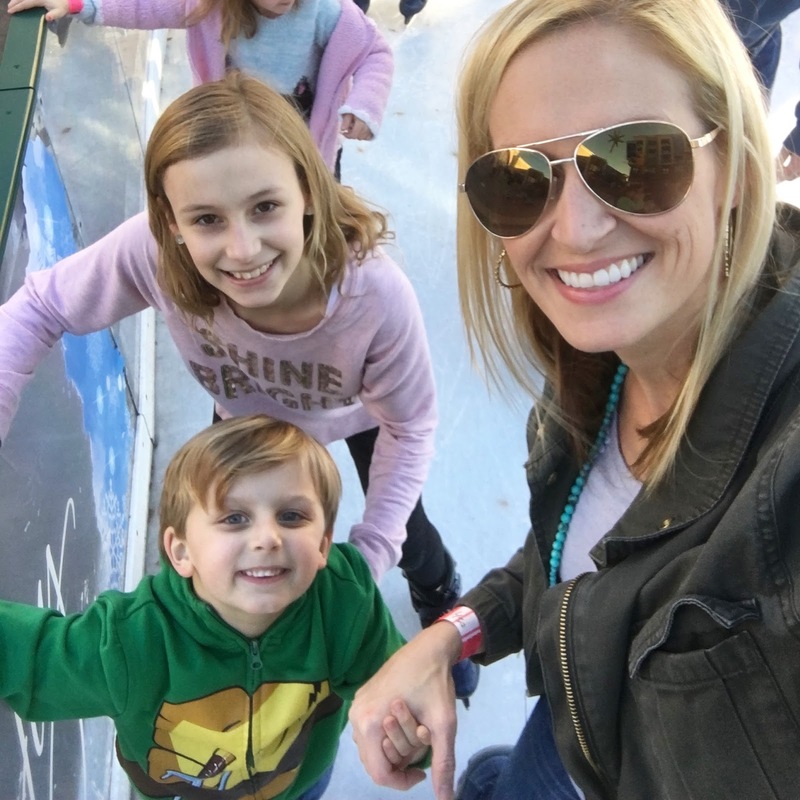 The rink is open until January 22nd so there is still plenty of time for anyone that wants to squeeze in some winter ice skating fun! 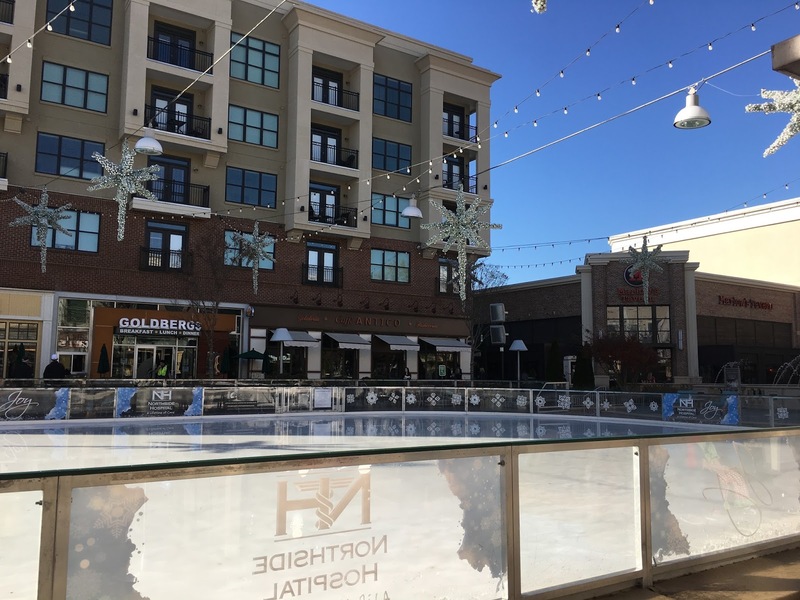 If you can get your tickets online ahead of time, that is definitely easier because you can just walk right up and get your skates instead of having to stand in line. I was told the rink holds around 180 people so they cap it at that when selling tickets. If you don't get on at the time you want, the wait is usually not more than 20 minutes. There are benches for people who might be going with you, but that aren't skating. There are shelves spaced around the rink for your shoes while you skate, but no lockers so plan accordingly for your bags/purses. We found a nice lady who was sitting and watching her kids to put our purses with while we skated, but it made me little nervous just leaving them there. 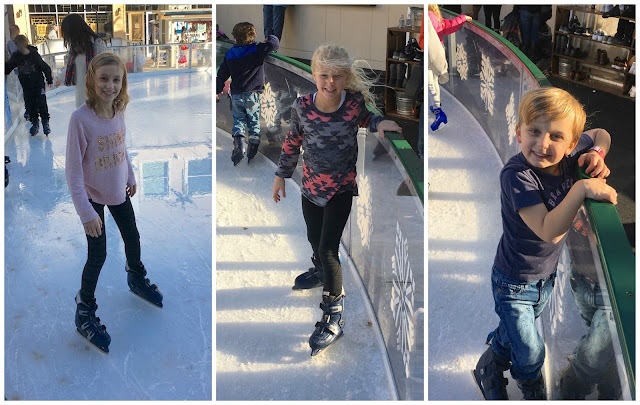 I was hoping they would have the stabilizer things for the kids to hold onto as they are learning to skate, but they didn't, so they just had to hold onto the side instead. The skates I wore were SUPER uncomfortable. I don't know if it was the way mine were shaped or what, but I would definitely recommend bringing thicker socks to wear with the skates. Be sure to check their website for holiday hours. They offer extended times through January 7th and then return to regular hours.